For all its progress, modern life isn’t slowing down anytime soon. We’re constantly bombarded with emails from our bosses, colleagues and clients, and social media notifications from our friends, family and people we don’t even know. And as these pressures keep piling up, we’re left feeling busy and overwhelmed. 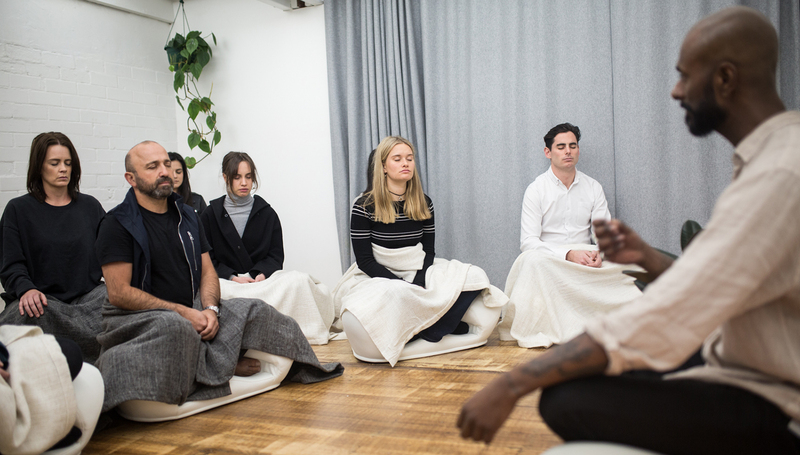 In response to the relentless pace of modernity, A—SPACE co-founder and meditation teacher, Manoj Dias, will be leading free guided meditations every Wednesday morning at MPavilion in October. Come one, come all, join Manoj to learn how to meditate and find a pocket of stillness in the busyness. Whether you’re new to the practice or have been meditating for quite some time, we invite you to sit with us here every Wednesday in October to start your day in a righteous way.